On the Outer Banks, pool heaters are a great way to get the most use out of your pool on the shoulder months of summer. The more recent electric pool heaters are far more efficient and reliable than years past. If you have a rental property on the Outer Banks with a pool heater you have a far better chance of booking your OBX vacation home in the months of April and October. There are a few different types of heaters to choose from depending on your needs, preference, and budget. Aquarius Pools and Spas is an authorized Heat Siphon dealer and repair company. Heat Siphon heaters are the leaders in high efficiency pool heaters on the market. They are made and assembled in the USA and come with the strongest warranties in the industry. Gas heaters are a good choice for pools that need to be heated quickly and in any outside temperature especially on the Outer Banks with or copious amounts of northeast winds. 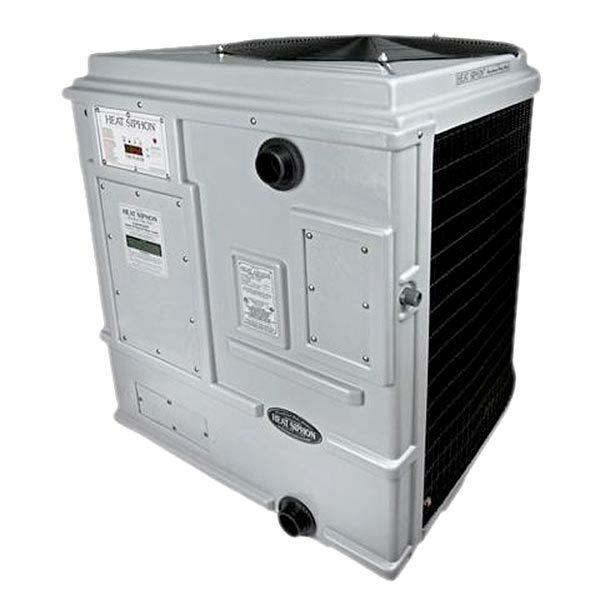 Gas heaters are slightly less expensive than heat pumps but are on the higher end of running costs. They come with a 2 year limited warranty. Solar heaters are a good option for pools that are mostly shaded by a house or other structures in the summer. They are also going to be the lowest on running costs and the most environmentally friendly of all the heaters. They come with a 5 year limited warranty. No matter which heater you choose, you are garnered a much better and longer pool season on the Outer Banks.